Patrick Leblanc is the second person to plead guilty to the March 17 robbery on Kennedy Memorial Drive. AUGUSTA — Patrick E. Leblanc Jr. will spend an initial 18 months behind bars for robbing the Waterville Budget Host Inn earlier this year. The remainder of his five-year prison sentence was suspended while he spends four years on probation. Leblanc, who also is known as Nicholas Leblanc, pleaded guilty to the class A armed robbery Thursday at the Capital Judicial Center. Conditions of probation prohibit him from being at the inn and from contract with a co-defendant. 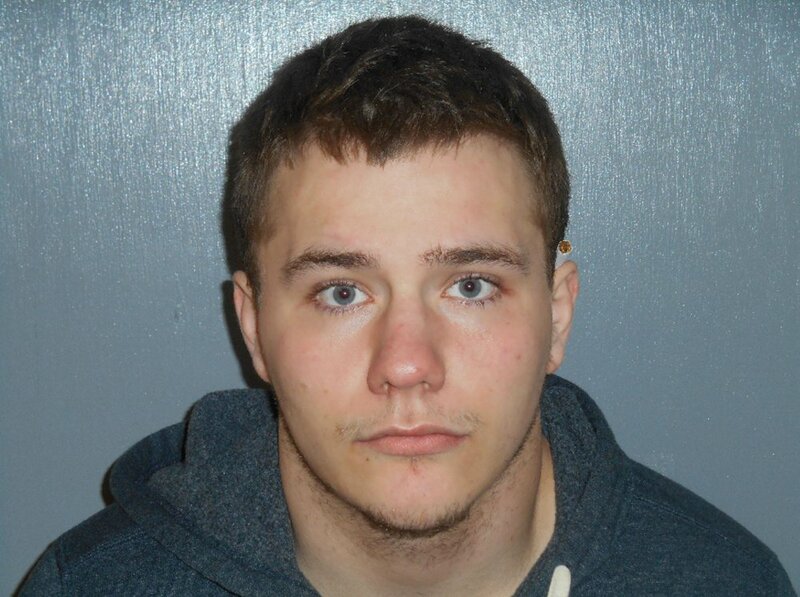 LeBlanc, 21, and his co-defendant, Tylor Anthony Reece, 22, both of Skowhegan, robbed the inn on Kennedy Memorial Drive just before 4 a.m. March 17. The prosecutor, Assistant District Attorney Tyler LeClair, said LeBlanc rang the night bell to be admitted to the inn and asked the night manager if rooms were available and for a public restroom. After he was told no, LeClair said Leblanc then let Reece — who was wearing a sweatshirt with the hood up and carrying what appeared to be a semiautomatic handgun but actually was a black-and-silver BB gun — into the lobby. Reece then went behind the counter and took $250 from the cash drawer. LeClair told Justice Donald Marden that the men then returned to Skowhegan and began “bragging about committing robbery” and that Reece said he was the one holding the gun. He told Marden he obtained his diploma at the Long Creek Youth Development Center in South Portland, where he spent a total of 33 months, some of it for petty theft and some for running away a number of times from a group home. LeBlanc said he had a number of goals in life, including becoming a barber, a chef and maybe a basketball coach. He said he had done some work with his father’s girlfriend’s nonprofit dog-rescue agency. “I’ve learned to enjoy doing that,” he said. Marden urged Leblanc to try to get some technical skills. LeBlanc’s defense attorney, William Baghdoyan, said Leblanc hopes to get his probation transferred to Rhode Island, where he hopes to live with his mother. Reece pleaded guilty Aug. 9 in the same courthouse to the inn robbery as well as a second robbery that occurred April 18, 2016, in an Augusta supermarket parking lot. That one that left the 82-year-old victim with a broken pelvis and other injuries. Reece remains at the Kennebec County jail pending a sentencing hearing on Oct. 2.